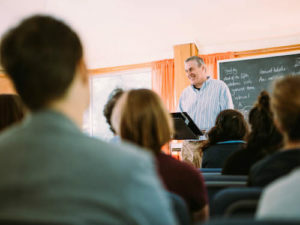 Relationships—whether between students and faculty, students and administration, or faculty and administration—are at the core of the success of all our endeavors at Sunbridge Institute. We understand that finding ways to afford quality Waldorf teacher education often requires this same collaborative effort. 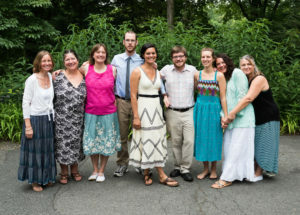 Our finance office works proactively with you—and, if applicable, with the school at which you work—to make you aware of all available options for financing your Waldorf teacher education; moreover, we offer discounts to schools that support four or more students in any teacher education program in the same academic year. Our finance director is available before every intensive to consult with you to discuss practical, manageable tuition payments options, including monthly payment plans, and to offer confidential, individual guidance where necessary. Financial aid packages that reduce tuition costs by up to one third—and, in some cases, by up to 40%—are available to those who qualify. Eligibility is determined by an impartial scale, and aid is awarded based on students’ needs and monies available. Importantly, we strive to ensure that levels of aid awarded to you as an incoming student remain constant throughout the length of your Sunbridge studies. 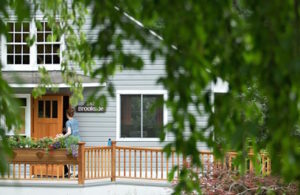 You are encouraged to talk to the Waldorf school at which you work to explore your options there. Any student admitted to and enrolled in a Sunbridge Institute teacher education program (including our specialized intensives). PLEASE NOTE: The granting foundations that support the Sunbridge Scholarship Fund seek to support students who are working at, or who anticipate working at, AWSNA or WECAN schools. Complete this online financial aid application or download a paper version. The regular deadline for admission and financial aid applications is May 1, but the earlier you submit your application the more financial aid there will still be available. Although aid is not awarded until you are accepted into a program, an estimate of the amount available may be given early in the acceptance process based on demonstrated need and potential availability of funds. If you are an already-matriculated Sunbridge student, complete this online financial aid application or download a paper version. Your financial aid application due date is May 1. NOTE TO ALL STUDENTS: As a condition of receiving a Sunbridge scholarship, you agree to keep us apprised of your current work situation throughout the course of your studies, as well as during the year following graduation, as we are required to report this information to the granting foundations that support our scholarship fund. IMPORTANT: The Sunbridge Scholarship Committee asks that each applicant for financial aid apply for an AWSNA loan, as it is expected that every available source of financial support is utilized. Failure to apply for an AWSNA loan may affect the amount of aid granted by the Committee. Read our Diversity Fund Scholarship announcement. • Be currently working in, or intending to work in, an AWSNA or WECAN school. Complete this online application or download a paper version. The application deadline for a Diversity Fund Scholarship is May 15. Read about AWSNA loans and matching grants. Because circumstances may change—necessitating repaying of the loan—you must be in a secure financial position to receive an AWSNA loan. Anyone enrolled in a Sunbridge program who meets the above criteria. Complete the AWSNA Loan application. AWSNA application must be completed before loan allocations are made. Currently practicing teachers in an AWSNA-affiliated school. The school MUST commit to paying a portion of the tuition for the student to be eligible. Complete the AWSNA Matching Grant application, and include a letter from the school that commits a specific amount towards your studies at Sunbridge Institute. The letter from your school must be received before the award can be made. Grant amount depends on the amount of monies available, and may be lower than the school commitment. Students who live in Vermont may qualify for Non-Degree Grants from the Vermont Student Assistance Corporation. Please note that the VSAC academic year begins on July 1 of each year and runs through June 30. Students who begin their studies before July 1 are eligible to receive awards for the fall through the following summer intensive. Awards are granted for two intensives (per VSAC: “two enrollment terms”) per academic year . The Michael Foundation is a private fund dedicated to supporting the education of Waldorf teachers. Applications must be received before February 1 in order to qualify for grants to be applied to the June 1- May 31 academic year. Sunbridge Institute offers extended financing options, with payment plans available for up to nine months post-graduation. Please discuss this with our finance director, Liz Whalen, during your initial conversation, if you are interested in learning more. If you have any questions about affording or paying for your Sunbridge education, please contact Liz Whalen at 845-425-0055 X 25 or lwhalen@sunbridge.edu. Please note: Sunbridge Institute is licensed by the New York State Department of Education, and our students are not eligible for Federal Financial Aid. Disclaimer: Sunbridge Institute does not endorse any scholarship aid services provided via the internet. Students are cautioned to research internet services that seek compensation for scholarship searches.